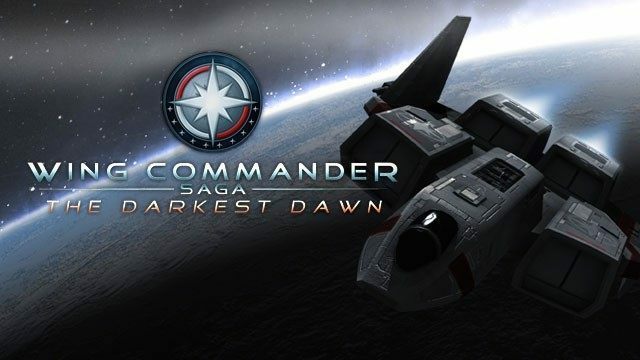 Download for free and play full version of Wing Commander Saga , a(n) simulation game, The Darkest Dawn , for PCs and laptops with Windows systems. Free and legal download. Enjoy! Wing Commander: the Saga of a spaceship simulator which is fully free and an unofficial continuation of the legendary hit of the 1990s based on the engine of the game Freespace 2 modified so that the star battle as most resembled those of the previous views of the cycle. The action moves us in the times shortly before the events known from the game Wing Commander III: Heart of the Tiger, when everything points to the fact that the conflict with the Kilrathi will end up a disaster humanity. The player takes on the character of David Merhama-one of the thousands of zó³todziobów appointed by the Confederation in a fit of desperation. The game puts a huge emphasis on the aspect of the plot. All the characters are designed with incredible reverence, and although it is a fan production each of them zdubbingowano. The whole campaign includes 55 missions and a multiplayer mode. GameWing Commander Sagain the English language.